Legal precedents created during Prohibition have lingered, leaving search-and-seizure law much better defined than limits on police use of force, interrogation practices, or eyewitness identification protocols. An unlawful trunk search is thus guarded against more thoroughly than an unnecessary shooting or a wrongful conviction. Intrusive searches for alcohol during Prohibition destroyed middle-class Americans' faith in police and ushered in a new basis for controlling police conduct. State courts in the 1920s began to exclude perfectly reliable evidence obtained in an illegal search. Then, as Prohibition drew to a close, a presidential commission awakened the public to torture in interrogation rooms, prompting courts to exclude coerced confessions irrespective of whether the technique had produced a reliable statement. Prohibition's scheme lingered long past the Roaring '20s. Racial tensions and police brutality were bigger concerns in the 1960s than illegal searches, yet when the Supreme Court imposed limits on officers' conduct in 1961, searches alone were regulated. Interrogation law during the 1960s, fundamentally reshaped by the Miranda ruling, ensured that suspects who invoked their rights would not be subject to coercive tactics, but did nothing to ensure reliable confessions by those who were questioned. Explicitly recognizing that its decisions excluding evidence had not been well-received, the Court in the 1970s refused to exclude identifications merely because they were made in suggestive lineups. Perhaps a larger project awaits—refocusing our rules of criminal procedure on those concerns from which Prohibition distracted us: conviction accuracy and the use of force by police. Wesley M. Oliver is Professor of Law at Duquesne University. 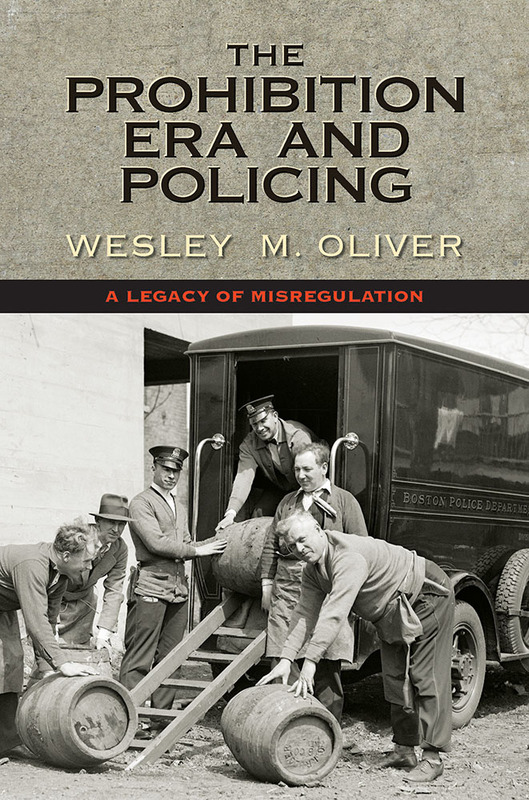 "Wesley Oliver's The Prohibition Era and Policing places him firmly within the wonderful new body of historical work that shows us how Prohibition continues to shape American law, governance, and society. Oliver does what historians do best—demonstrate how our present circumstances are profoundly shaped by our past, and how we might imagine a better future. Oliver believes that Americans deserve a more effective and more accountable criminal justice system, and uses history to help us see our present system as both contingent and changeable." "As police departments change course and tactics across the country, Wes Oliver's book is a revelation that will spur change." "Wes Oliver tells a fascinating story of criminal procedure in the early twentieth century, and he makes a novel, compelling argument for the centrality of the Prohibition Era in understanding the way the United States currently regulates the police. This is an important and provocative book."